adidas Originals A.R Trainers In Clown White, Full lace fastening in white with white leather uppers and a padded leather tongue in white featuring a woven Adidas Trefoil logo pinch tag in white, icemin blue and orange. Plastic and woven trims feature on the instep and outstep in icemin blue, orange and black. 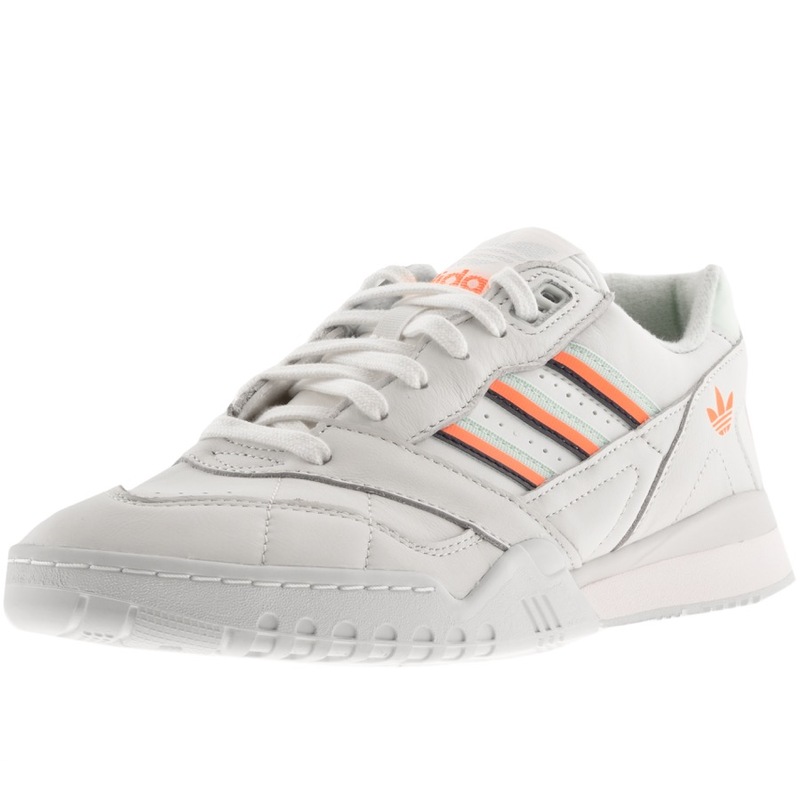 The Adidas Trefoil logo is on the outstep in orange. A icemin blue panel is on the heel with the signature Adidas logo slightly raised in orange. A plastic and vulcanised rubber midsole in white with a contrasting sole to the front of the trainer in cream and a branded cream umdersole. More Amazing Adidas Originals Trainers and Flip Flops Live Online.